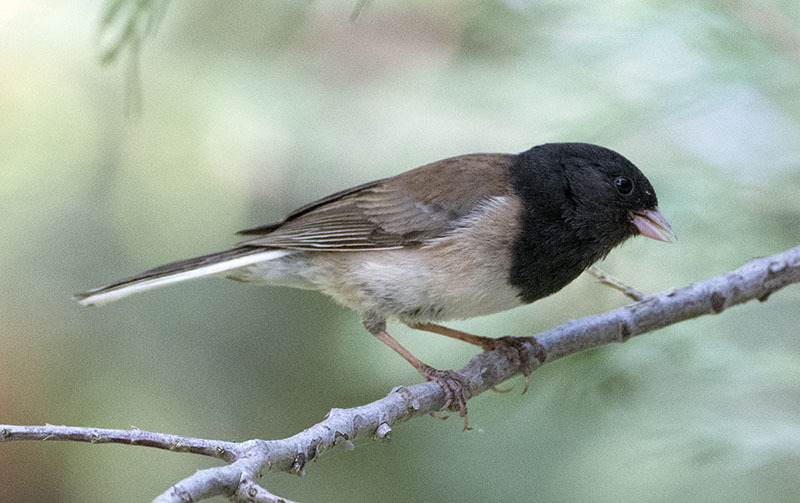 Dark-eyed (Oregon) Junco #46 - A common bird throughout our trip. 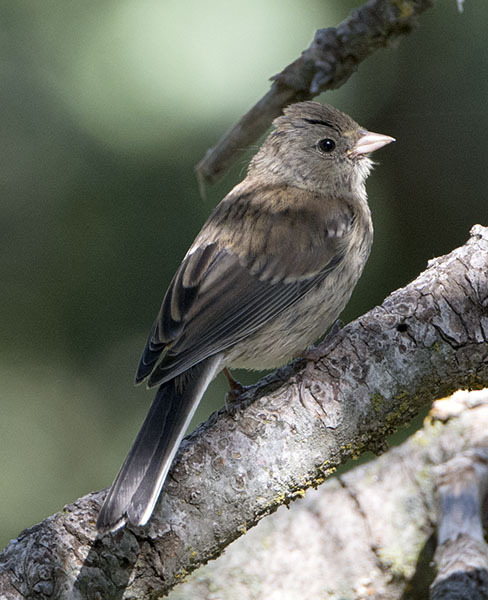 Dark-eyed (Oregon) Junco #48 - A juvenile bird. 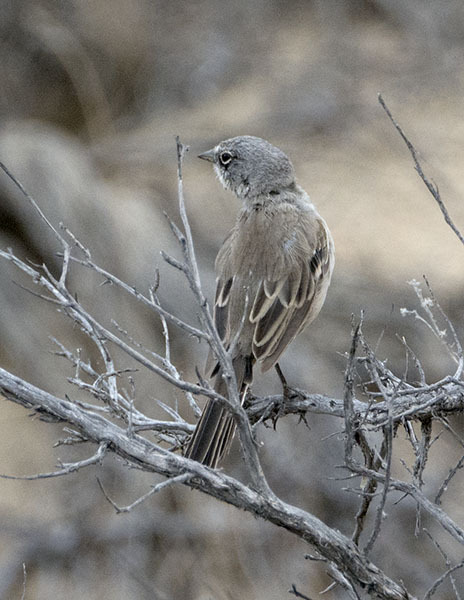 looking more like a funny Sparrow than a handsome Junco. 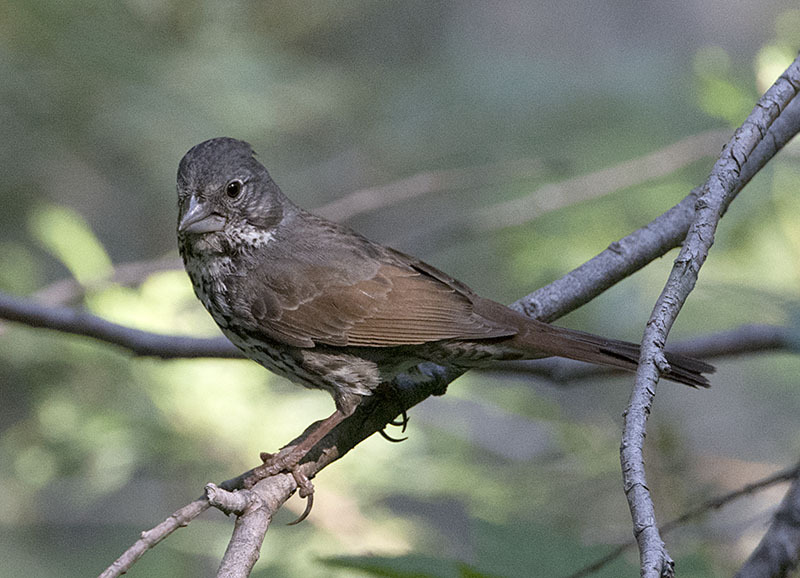 "Large-billed Fox Sparrow #10 - Resident in the foothills, this race of the Fox Sparrow is due to be split out as a separate species. 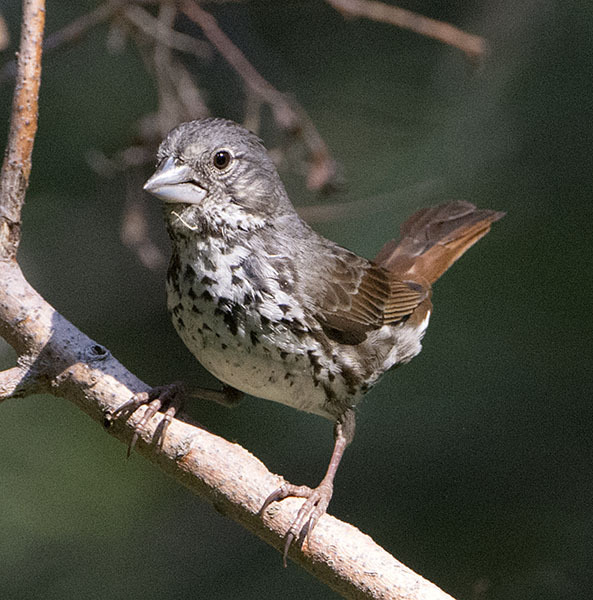 "Large-billed Fox Sparrow #11 - It really does have a "large" bill! 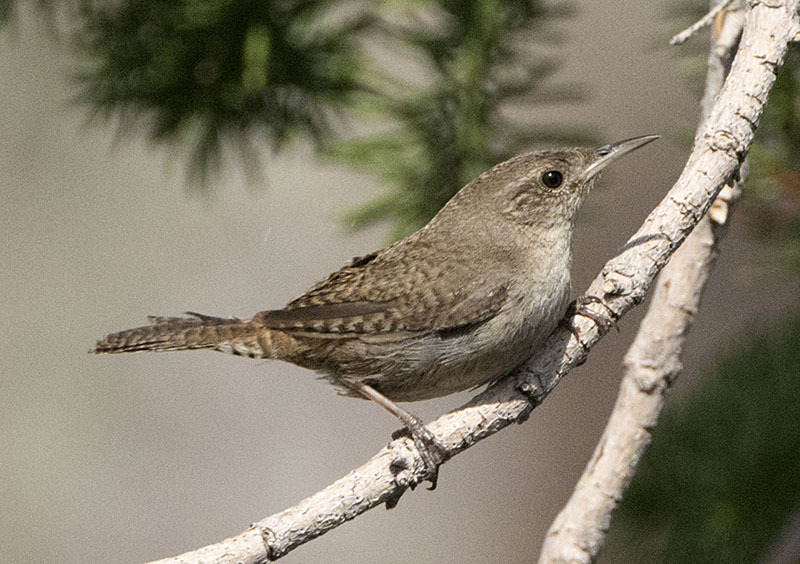 House Wren #13 - Another common bird throughout the trip. 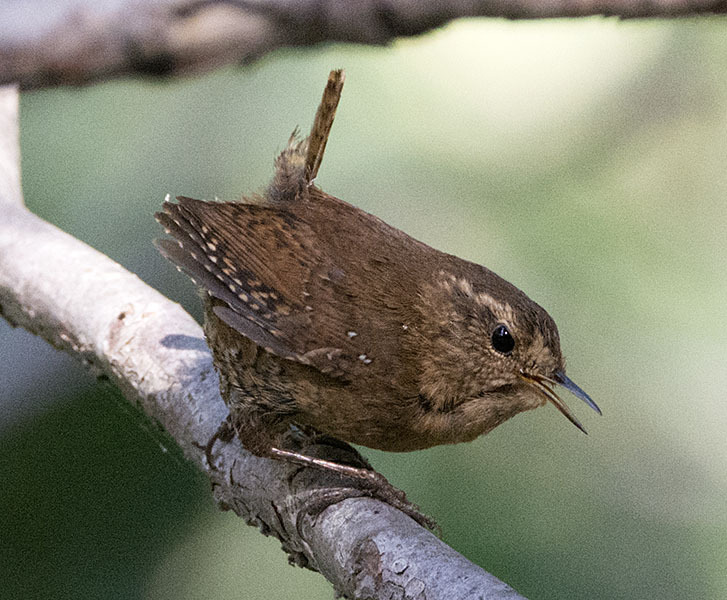 Pacific Wren #5 - Formerly just the Pacific race of the Winter Wren, it is now a separate species...this one is molting and only has a single tail feather! 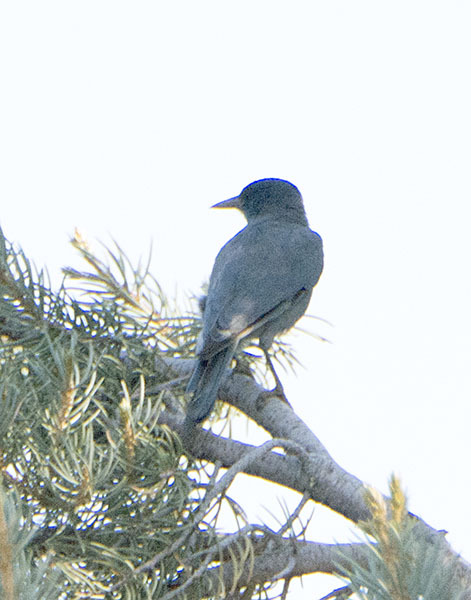 Pinyon Jay #3 - On the way to the mountains, we found several Pinyon Jays along the road...not the greatest photo, however. 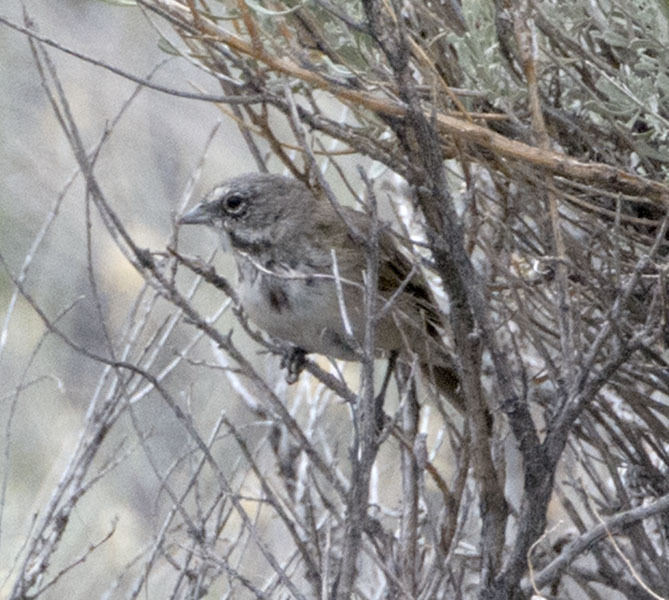 "Great Basin" Sage Sparrow #5 - ...it may be split out as a separate species in the future. 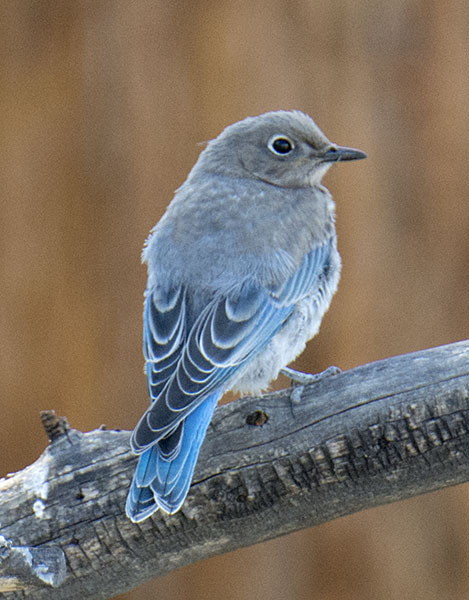 Mountain Bluebird #31 - Once in the mountains, we began to notice these pastel colored Bluebirds. 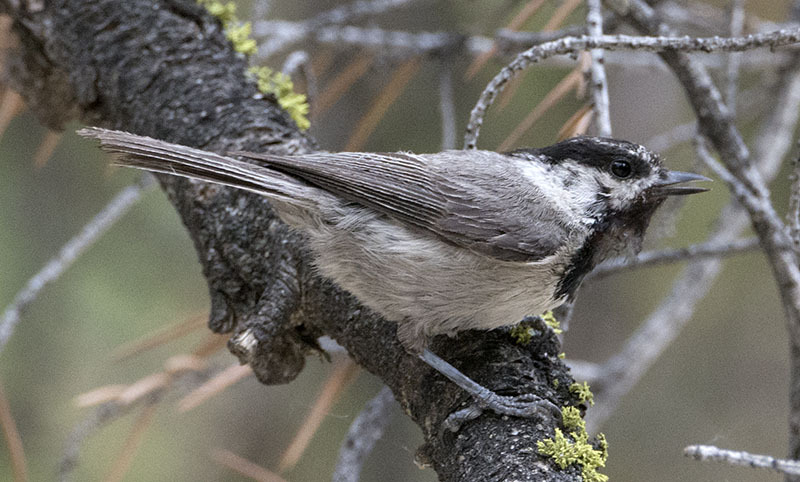 Mountain Chickadee #27 - What's a trip to the mountains without a "Mountain" Chickadee? 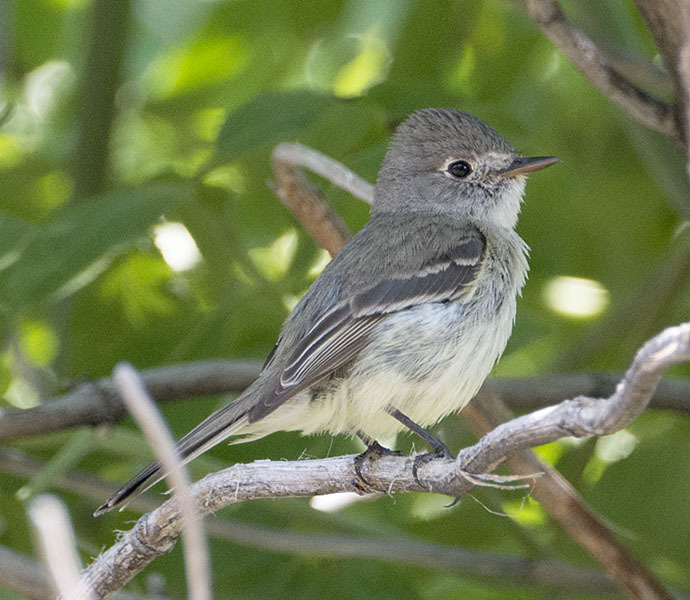 Dusky Flycatcher #4 - A bird of mountain meadows and clearings. 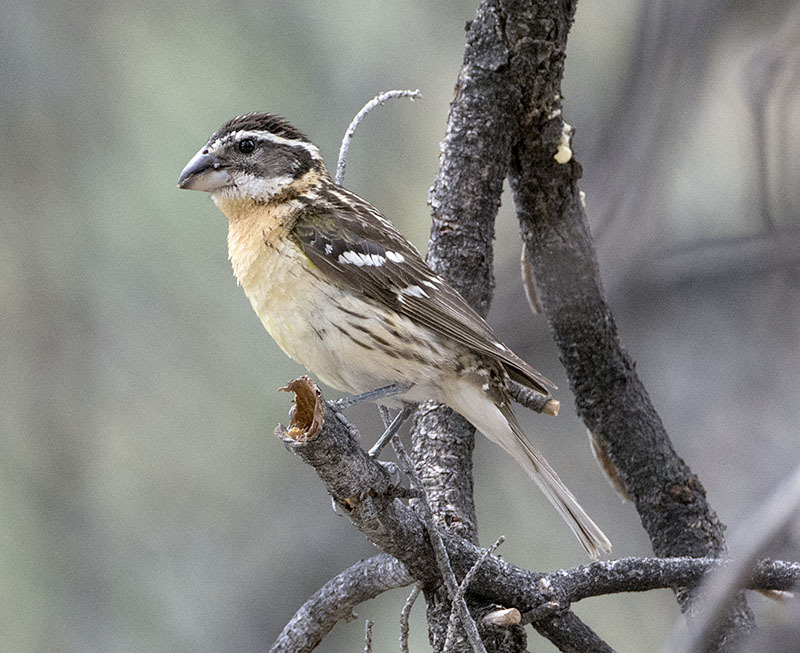 Black-headed Grosbeak #15 - This female came to look us over when we stopped along the road. 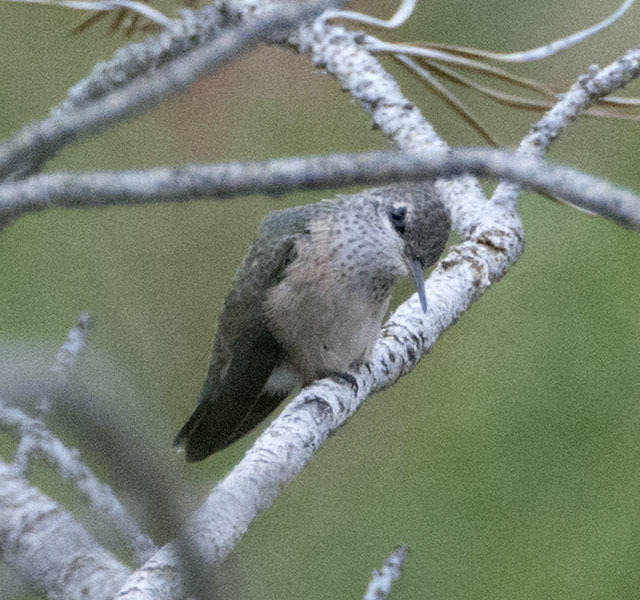 Calliope Hummingbird #48 - This female was patrolling a mountain meadow from a favorite perch. 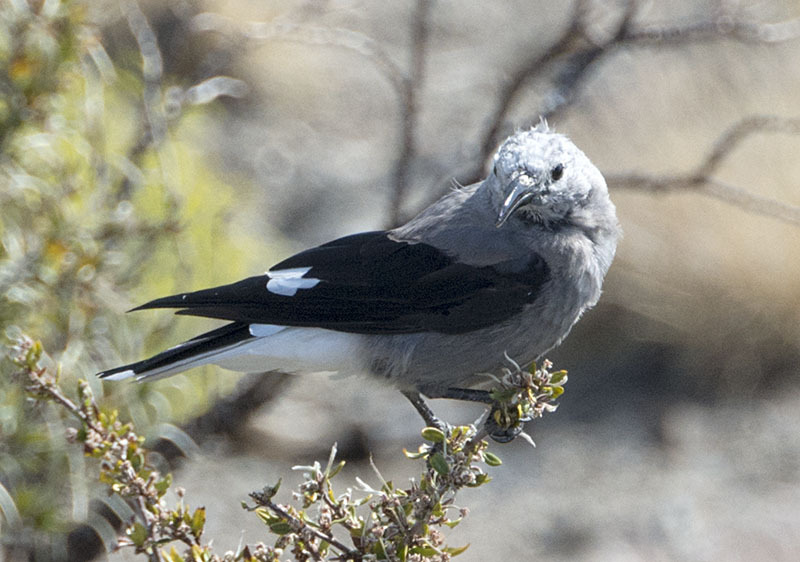 Clark's Nutcracker #3 - These birds are more common further east, but we saw several on the drive up the mountain. 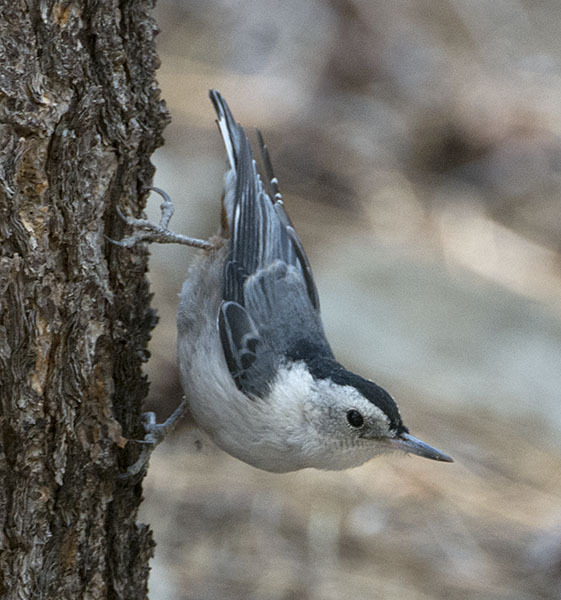 White-breasted Nuthatch #11 - This species occurs at different elevations. 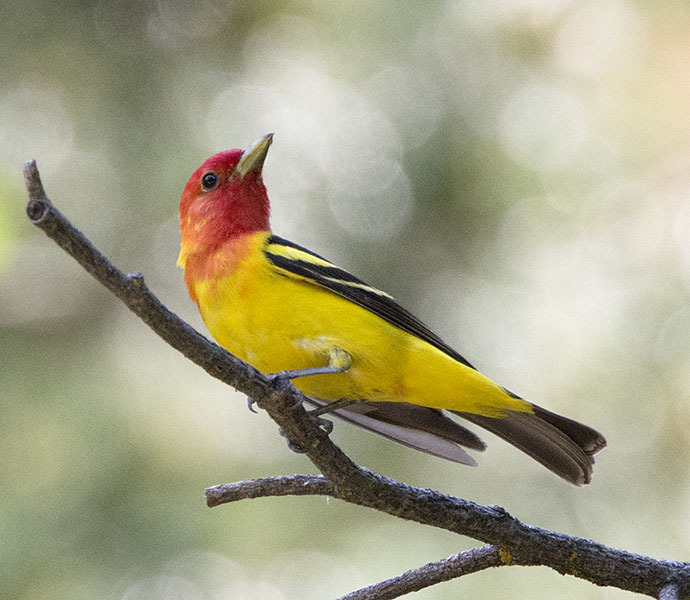 Western Tanager #23 - This is the prettiest Western Tanager I have ever seen! 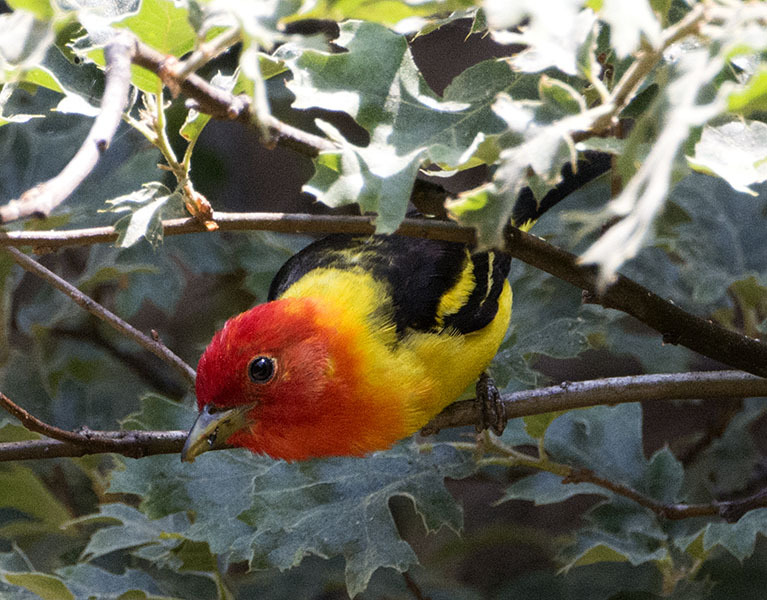 Western Tanager #31 - I see you! 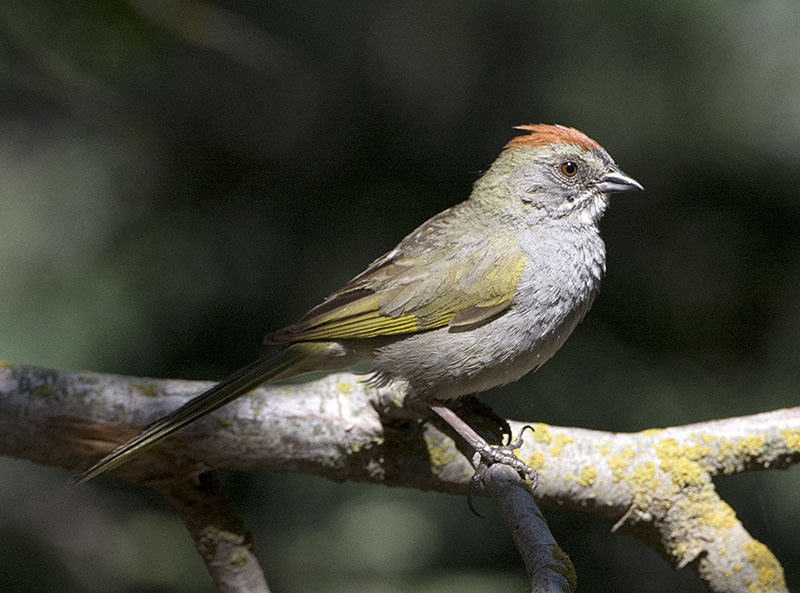 Green-tailed Towhee #9 - A handsome bird with subtle coloration. 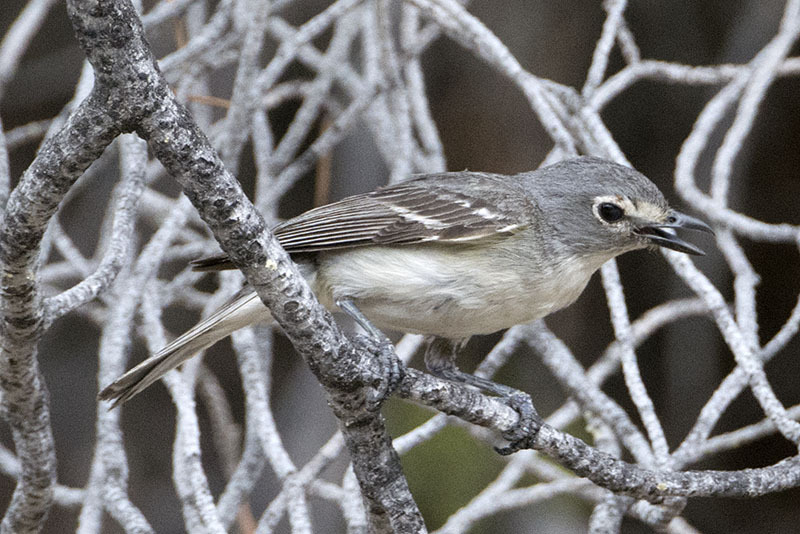 Plumbeous Vireo #8 - At the western edge of its range. 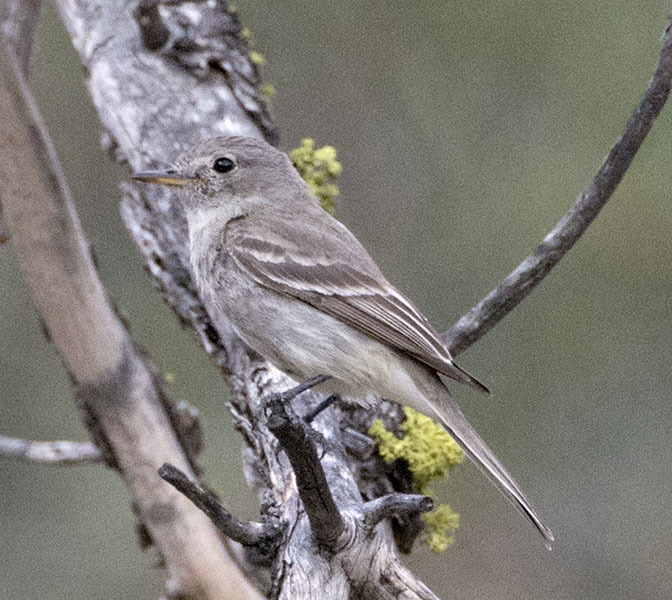 Western Wood-Pewee #5 - Another common bird throughout the trip. 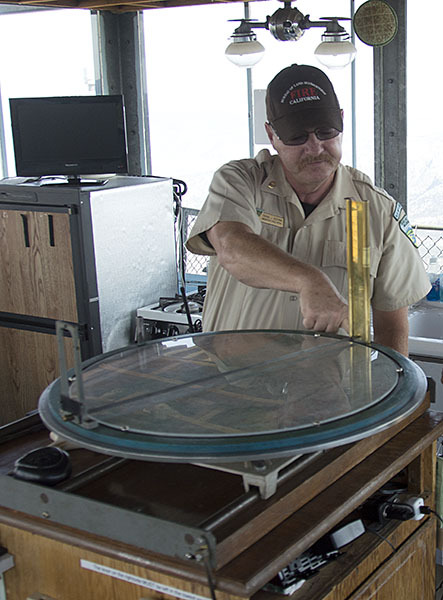 Fire Watch Ranger #1 - The Fire Watch Ranger explained how he pinpointed fire's location using this sighting device. 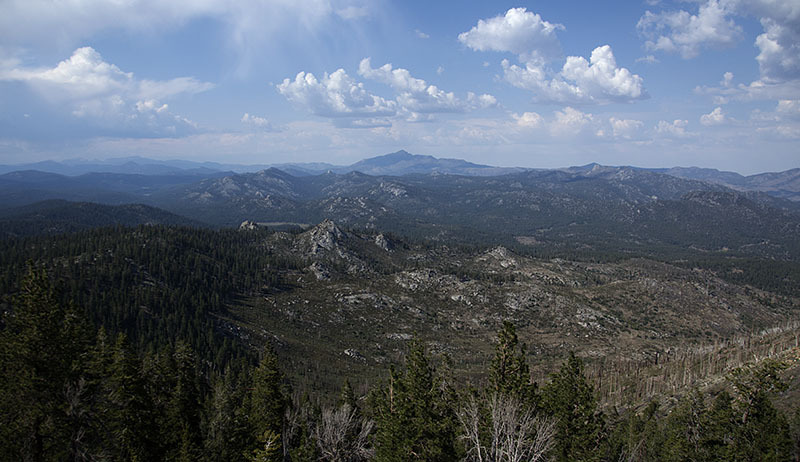 Piute Mountains #2 - The view from the top. 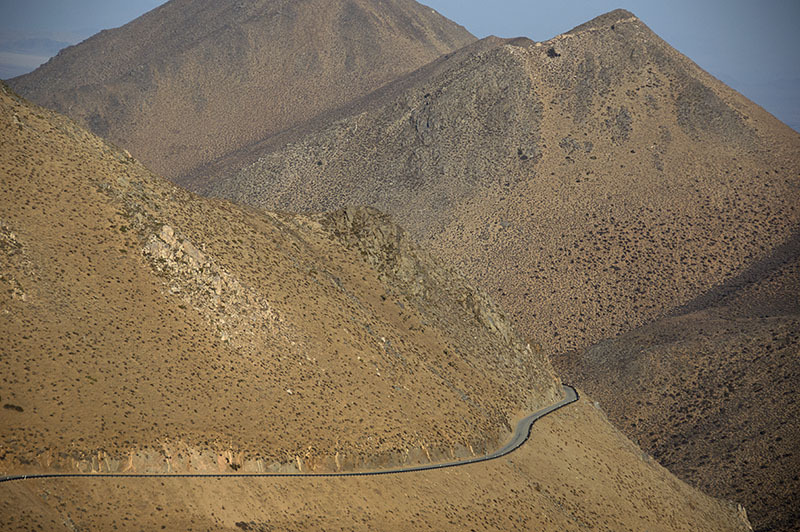 Piute Mountains #3 - The road back down through the foothills.